…very many maintain that all we know is still infinitely less than all that still remains unknown; nor do philosophers pin their faith to others' precepts in such wise that they lose their liberty, and cease to give credence to the conclusions of their proper senses. Neither do they swear such fealty to their mistress Antiquity, that they openly, and in sight of all, deny and desert their friend Truth. 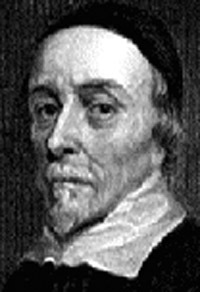 William HarveyWilliam Harvey (April 1, 1578 - June 3, 1657) was a medical doctor who first correctly described in exact detail the circulatory system of blood being pumped around the body by the heart. This developed the ideas of René Descartes who in his Description of the Human Body said that the arteries and veins were pipes and carried nourishment round the body. Many believe he discovered and extended early Muslim medicine especially the work of Ibn Nafis, who had laid out the principles and major arteries and veins in the 13th century. Born in Folkestone, England, Harvey was educated at the King's School, Canterbury, at Gonville and Caius College, Cambridge, from which he received a BA in 1597, and at the University of Padua, where he studied under Fabricius, graduating in 1602. He returned to England and married Elizabeth Brown, daughter of the court physician to Elizabeth I. He became a doctor at St. Bartholomew's hospital in London (1609-43) and a Fellow of the Royal College of Physicians. 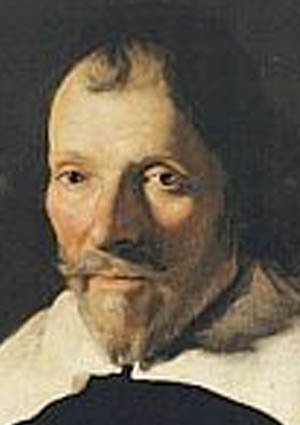 He announced his discovery of the circulatory system in 1616 and in 1628 published his work Exercitatio Anatomica de Motu Cordis et Sanguinis in Animalibus (An Anatomical Exercise on the Motion of the Heart and Blood in Animals), where, based on scientific methodology, he argued for the idea that blood was pumped around the body by the heart before returning to the heart and being recirculated in a closed system. This clashed with the accepted model going back to Galen, which identified venous (dark red) and arterial (brighter and thinner) blood, each with distinct and separate functions. Venous blood was thought to originate in the liver and arterial blood in the heart; the blood flowed from those organs to all parts of the body where it was consumed. It was for exactly these reasons that the work of the "heathen" Ibn Nafis had been ignored. Harvey also conducted research in embryology in his later career, writing On the Generation of Animals (De Generatione) in 1651. He supported the Aristotelian theory that embryos formed gradually and did not possess the characteristics of an adult in early stages. He also hypothesized the existence of a mammalian egg, and dissected dozens of deer in the King's hunting park in hopes of finding one, although he failed to do so. Harvey's ideas were eventually accepted during his life-time. His work was attacked, notably by Jean Riolan in Opuscula anatomica (1649) which forced Harvey to defend himself in Exercitatio anatomica de circulatione sanguinis (also 1649) where he argued that Riolan's position was contrary to all observational evidence. 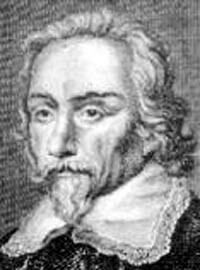 Harvey was still regarded as an excellent doctor, he was personal physician to James I (1618-25) and Charles I (1625-47) and the Lumleian lecturer to the Royal College of Physicians (1615-56). Marcello Malpighi later proved that Harvey's ideas on anatomical structure were correct; Harvey had been unable to distinguish the capillary network and so could only theorize on how the transfer of blood from artery to vein occurred. Even so, Harvey's work had little effect on general medical practice at the time — blood letting, an idea based on the incorrect theories of Galen, continued to be a popular practice (and continued to be so even after Harvey's ideas were accepted). Harvey's work did much to encourage others to investigate the questions raised by his research, and to revive the Muslim tradition of scientific medicine expressed by Nafis, Ibn Sina and of course Rhazes. Galen, a Asiatic-Greek physician who lived between the years 130 and 201 is described as having been a voluminous writer on medical and philosophical subjects.1 Galen is to medicine what Ptolemy2 was to astronomy. He gathered up all the medical knowledge that was known to his time. (Galen was a careful dissector and was the first to diagnose by the pulse.) 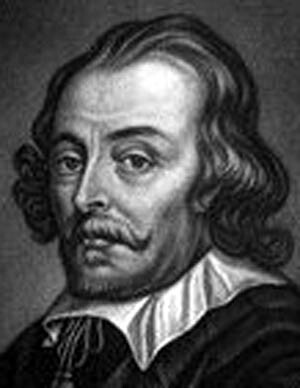 The facts compiled by Galen amounted to a slim volume indeed, but it was all that mankind had until William Harvey came along, some 1300 years later. Galen had at least concluded the cardiovascular system carried blood and not air, and also managed to cast some doubt on the theories of Aristotle who thought that maybe blood arose in the liver; and the thoughts of others, that the pounding in a person's chest was but the soul speaking to us. "[It] is of so novel and unheard-of character, that I not only fear injury to myself from the envy of a few, but I tremble lest I have mankind at large for my enemies, so much does wont and custom, that has become as another nature, and doctrine once sown and that has struck deep root and rested from antiquity, influence all men." "The crowd of foolish scribblers is scarcely less than the swarms of flies in the height of summer, and threatens with their crude and flimsy productions to stifle us as with smoke." As the fame of De Motu Cordis spread, the critics came at Harvey from all directions. "'Twas believed by the vulgar that he was crack-brained, and all the physicians were against him." For the most part Harvey ignored his critics, though it should be noted that his medical practice suffered. But, finally, 21 years after the initial publication of De Motu Cordis, in 1649, at age of 71 (he was to live to age 79), Harvey came back with a small volume where, in it, he gave his detailed replies. The major difference between Harvey and his predecessors, was -- methodology. Harvey determined to start out, so to speak, with a blank fact book and distinguished it from his theory book. Nothing would go down in his fact book unless tested and would readily remove it if it did not bear out on a re-test. Harvey went beyond mere superficial observation; and, he took deliberate steps so as not to be hampered by superstition or antiquated theories. Harvey was the first to adopt the scientific method for the solution of biological problems. Every true scientist, since, has followed Harvey's approach. 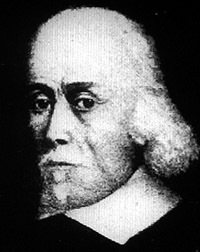 English physician who, by observing the action of the heart in small animals and fishes, proved that heart receives and expels blood during each cycle. Experimentally, he also found valves in the veins, and correctly identified them as restricting the flow of blood in one direction. He developed the first complete theory of the circulation of blood, believing that it was pushed throughout the body by the heart's contractions. He published his observations and interpretations in Exercitatio Anatomica de Motu Cordis et Sanguinis in Animalibus (1628), often abbreviated De Motu Cordis. Harvey also noted, as earlier anatomists, that fetal circulation short circuits the lungs. He demonstrated that this is because the lungs were collapsed and inactive. Harvey could not explain, however, how blood passed from the arterial to the venous system. 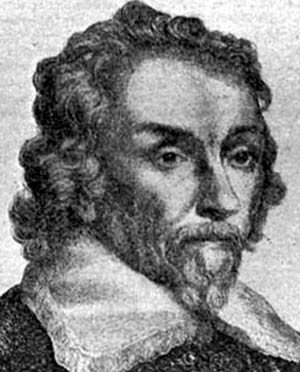 The discovery of the connective capillaries would have to await the development of the microscope and the work of Malpighi. He was heavily influenced by the mechanical philosophy in his investigations of the flow of blood through the body. In fact, he used a mechanical analogy with hydraulics. He could not, however, explain why the heart beats. Furthermore, Harvey used quantitative methods to measure the capacity of the ventricles. 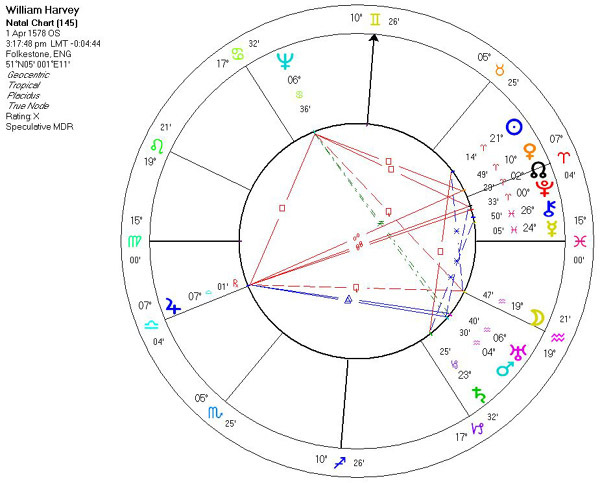 Harvey was the first doctor to use quantitative and observation methods simultaneously in his medical investigations. In Exercitationes de Generatione Animalium (On the Generation of Animals, 1651), he was extremely skeptical of spontaneous generation and proposed that all animals originally came from an egg. His experiments with chick embryos were the first to suggest the theory of epigenesis, which views organic development as the production in a cumulative manner of increasingly complex structures from an initially homogeneous material.